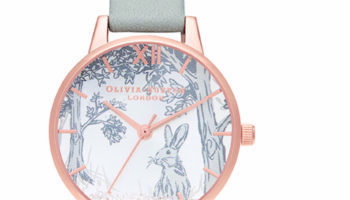 Olivia Burton, Henry London and Larsson and Jennings are pressing retailers and consumers to get over their fear of square watches. 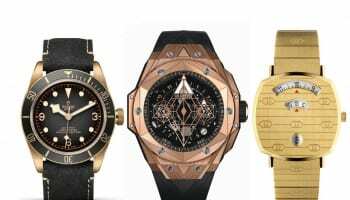 There is perceived wisdom among watch shops that square does not sell, but that is being challenged by three brands known for hitting hot trends before they go mainstream. 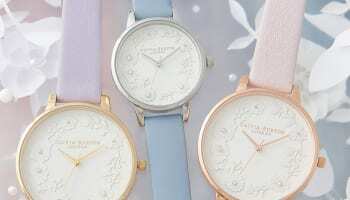 Olivia Burton continues to see a huge success with the launch of the Square dial, available in both Midi and Big Dial sizes. “The versatile shape is truly having its moment,” the company says. 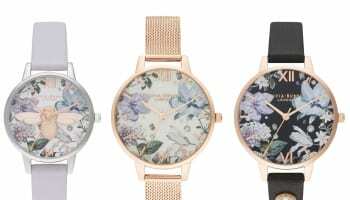 Olivia Burton first launched its square watches ahead of Christmas last year, and its early success has prompted the brand to expand its collection to include mesh, 3D bees and a feminine colour palette of Square styles. 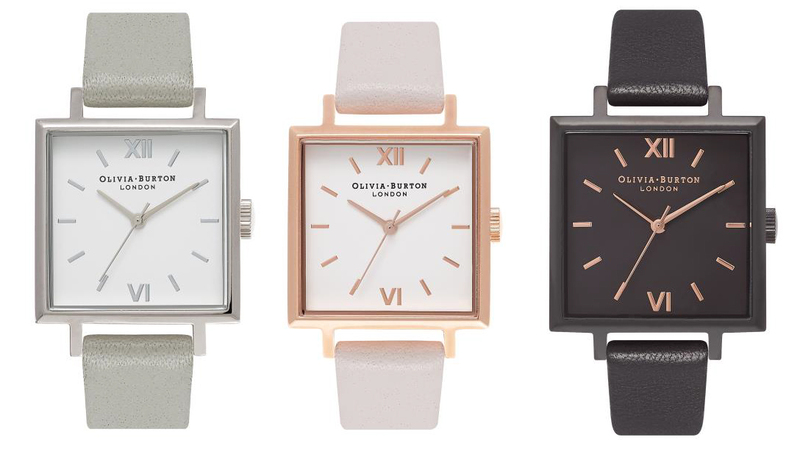 “We’ve seen a surprisingly strong reaction to our Square dials,” Olivia Burton’s co-founding director Jemma Fennings tells WatchPro. “We tried the smaller Midi Square prior to Christmas which was received really well so we expanded the collection to include a bigger size and more detailed dials,” she adds. 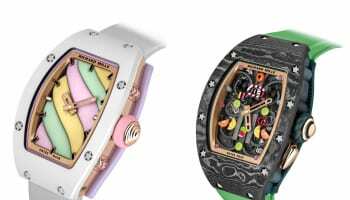 The watches are aimed at the fashion market with prices ranging from £82 to £155. 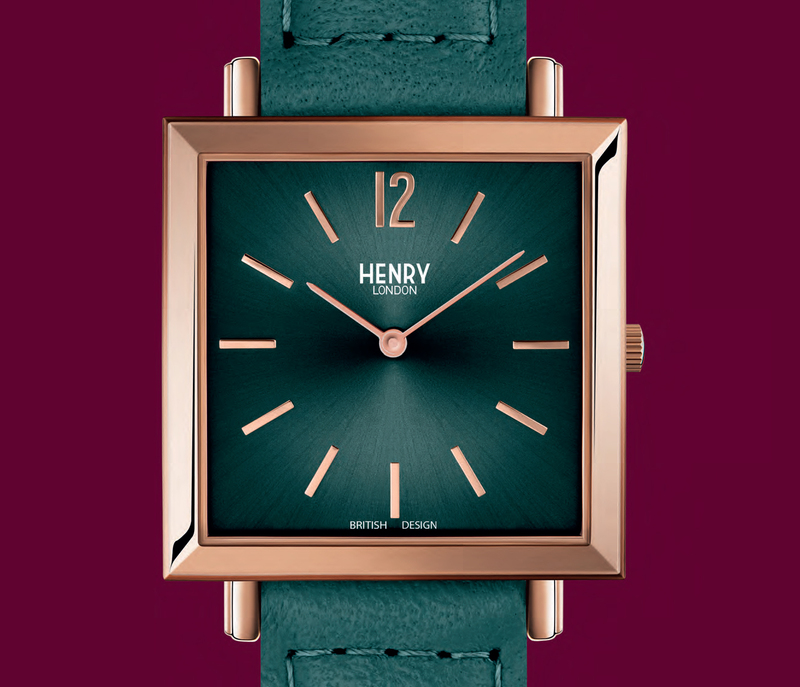 Henry London is known for reviving vintage styles, and has taken inspiration from the square watches that were in fashion in the 1960s from brands including Zenith, Omega and Patek Philippe. The brand, which is owned by distributor Peers Hardy, is introducing two sizes of square watches within its Heritage collection. The 26mm Heritage Square is likely to appeal to ladies while the 34mm Heritage Square is for men. The watches are presented in a range of coated steel cases with dials in colours including black, blue and ivory with gold or silver-coloured markers and hands. Both the 26mm and 34mm retail for around £100, with prices varying slightly depending on straps (leather or steel mesh) and finishes. A spokesman for Peers Hardy said that fashion retailers are embracing the square trend more rapidly than traditional jewellers, but it is expected to be hot this Christmas. Larsson & Jennings sells mostly direct from its own shops and website in the UK, and will be hoping that the square trend fires sales of its Norse Navy Sunray models, which are going on sale in July in two sizes: 29x40mm and 27x34mm. The Norse is a modern interpretation of a classic dress watch style, presented in a steel case with a sunray blue face with steel markers and hands. 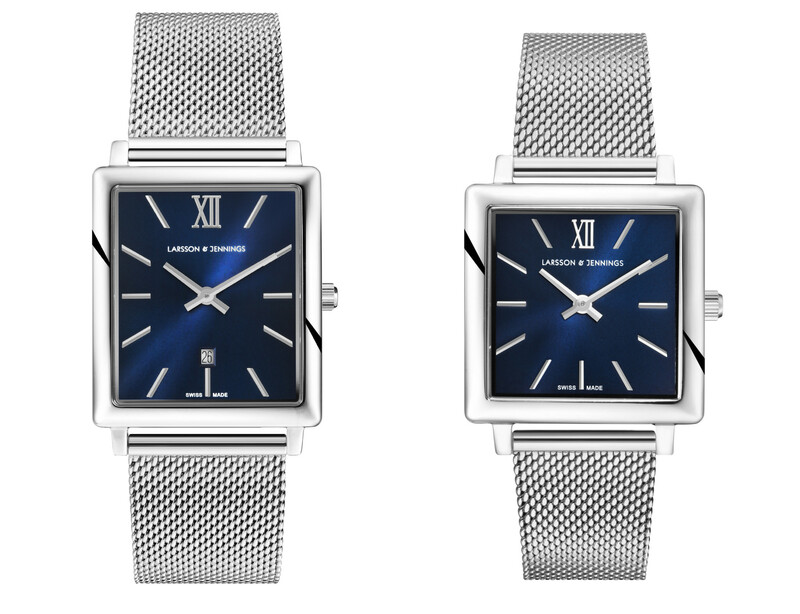 Catching another modern trend revived from the 1960s, the watches are presented on steel Milanese mesh bracelets. The watches are expected to go sale for £235 from July 17.